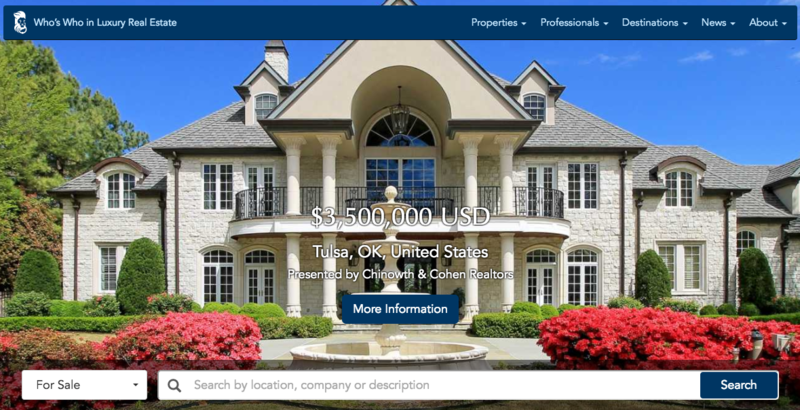 Frequently ranked ‘Best Website’ in consumer and industry surveys, has been recognized for excellence by the WMA Awards and the Webby Awards and has been voted ‘Best of the Web’ by Forbes magazine multiple times. 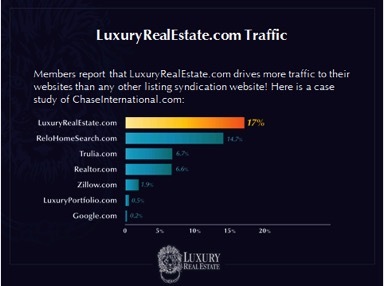 Since its debut in 1995, LuxuryRealEstate.com has remained the #1 portal for luxury properties on the internet and has several times more $1,000,000+ content of any near-peer. The company has also been recognized by the Maggie Awards, received an ADDY Award for excellence in Web Design, ranked in the Inc. 5000 List and named as one of the 100 Fastest Growing Private Companies by the Puget Sound Business Journal.